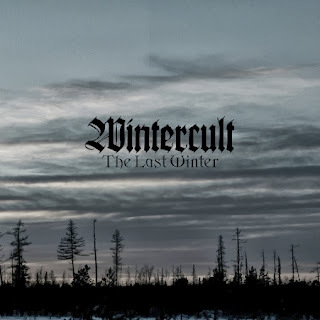 It begins with a sombre cold wind that blows through the frostbitten speakers together with some clean melancholic guitars that sets the mood for this record. You can hear a lot of Burzum influences on this recording, both in the music with its nature inspired grinding hypnotic riffs, and the midtempo drums. And of course in the vocal department with painful screams from the frozen abyss. It feels like you have been locked out from the warmth and safety of your social lodge and left alone in the dark windswept spruce. There are a lot of atmosphere here, even though it has been done thousand times before.